As previously discussed in our post entitled: OIG Report On Hillary Clinton Email Scandal, the report released was a watered down, redacted version of the original OIG report. Rod Rosenstein tried to ‘clean it up’. Please sign the petition, so we all can learn the full truth, and nothing but the truth. Petition link below. 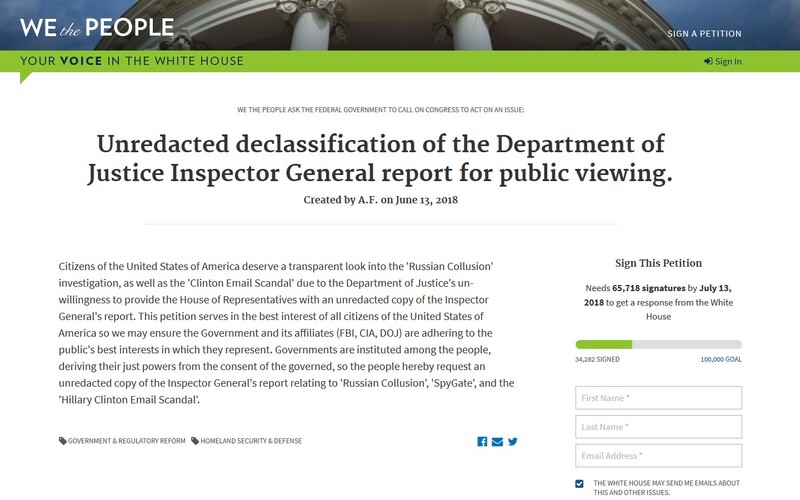 Petition: Unredacted declassification of the Department of Justice Inspector General report for public viewing. Thank you for helping shine light on darkness.